In 1983, Story Circle was created as a guild with meetings for members to practice works in progress. In 1996, Story Circle produced its first public performance Tellabration. In 1999, Story Circle added Story Sunday at the Glen Sanders Mansion shows to its public performance schedule. Story Sundays continued for 18 seasons, ending on January 28, 2018. In 2005, Open Mics were started in Saratoga Springs as well as Schenectady. Story Circle celebrated its 25th anniversary in 2008 by starting a partnership with Proctors and a public access TV show about storytelling. 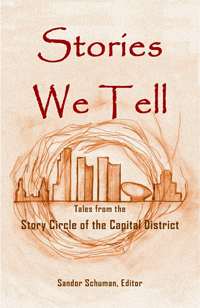 In 2014, under the leadership of Sandy Schuman, the book The Stories We Tell: Tales from the Story Circle of the Capital District was published. Twenty Story Circle members have collaborated on this anthology of 31 tales. This book is our first written anthology. It includes folklore, fantasy, historical, and personal stories to move and entertain readers. It received a 2016 Storytelling World Honor Award. 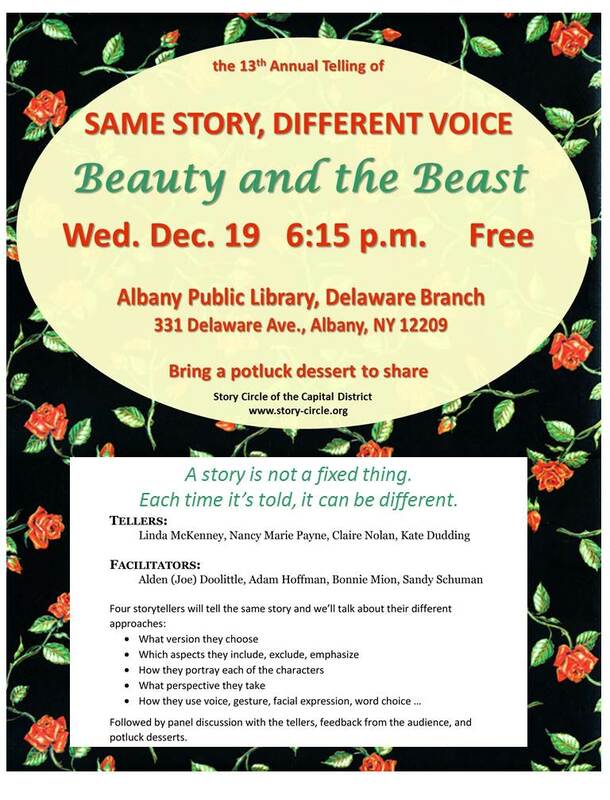 In 2018, Story Circle is producing its first public performance of Same Story, Different Voice . Want to enjoy some storytelling? Read about upcoming storytelling events here and watch some of our storytellers share stories here. Looking for a storyteller? Find storytellers here.